Our hotel quality, 100% down filled duvets are manufactured in Scotland using only the finest cotton casings and certified European duck and Hungarian goose down. 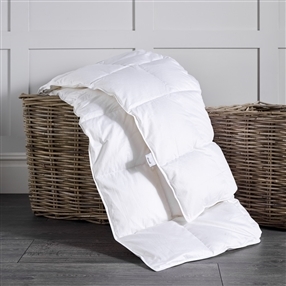 All our down duvets boast a high fill power providing a much higher loft than cheaper alternatives resulting in a lighter, warmer duvet. 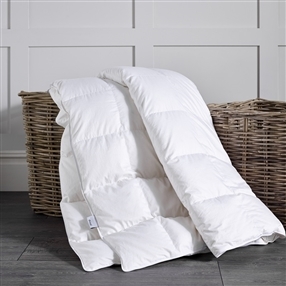 Down is simply the warmest, lightest filling for a duvet as it contains no feather or stem material, just lots of fluffy, snuggly clusters. 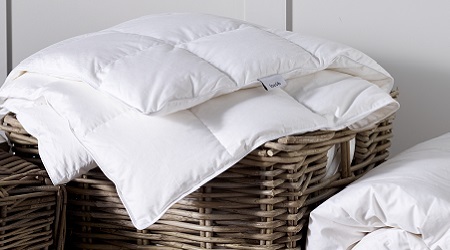 A few nights under one of our down filled duvets and you will realise why down is our favourite filling.